NOAA Fisheries recently announced it hired two contractors to conduct interviews "to provide a better picture of what it would take to get salmon recovery." NOAA is looking for straight talk -- not what appeared in a Reader's View penned by Terry Flores, executive director of Northwest River Partners. 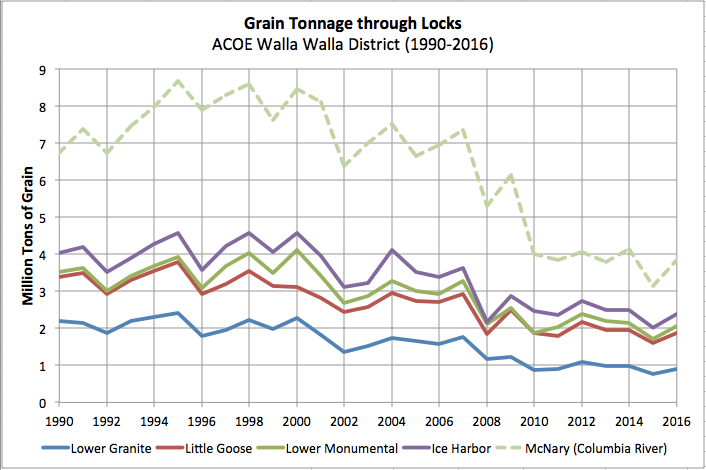 Flores continues to obfuscate salmon recovery in the Columbia and Snake rivers. Columbia River dams are not considered for removal -- the four lower Snake River dams are. She talks of the benefits of the Port of Lewiston that moves products worth billons providing thousands of jobs. In 2011, the Lewiston port shipped 500,000 tons of wheat priced at about $10 per bushel worth $165 million -- not billions. The Port of Lewiston has six full-time employees. Flores said shipping by barge helps keep 700,000 trucks off our highways. You could ship the entire 3 million tons of commerce in and out of the lower Snake with 100,000 trucks or 300 shuttle trains -- not 700,000. She said the lower Snake dams provide vital irrigation to farmers in Idaho. Just the opposite -- because of the dams, Idaho sends irrigation water to move salmon smolts through four slow-moving reservoirs.